When someone asked me to think back to when I first started drinking tea, I had to think. It was in my teen years, but I’m not sure what led me into drinking tea back then. Maybe it was my introduction to “white tea” and “green tea” that tantalized my taste buds. It took me a while to adapt to these, but I didn’t really explore tea until I got older. Children in the United Kingdom are usually introduced to home-brewed tea at a young age. Cups of black tea are incorporated into everyday life and are later introduced to other types of teas like darjeeling and oolong. They learn to become little connoisseurs! American children do drink tea but not as much as their English counterparts. One thing they do have in common is the tea sets! Many children have tea sets and love to throw tea parties! They can invite friends or family to join them for tea time (I would have tea with my dolls and stuffed animals). Having tea together encourages play time, imagination, and social skills. I live with my nine-year-old nephew and he has a budding interest in tea. When he learned I became a tea blogger and what I would be doing, he was very interested and tried a few brews with me. Now, I like to brew myself a cup of decaf tea at night to encourage sleep and my nephew will ask for a cup, which I will happily make for him. While he prefers his iced, he loves tea very much and we will drink together. Sometimes his olde r sister and younger brother will even join us! My nephew has even tasted PG Tips which he likes. While I have yet to teach him the winning combination of digestives and tea, he has expressed interest in not just trying teas alone but biscuits and cakes! I really enjoy teaching him about tea and English culture. I am so proud to be this young man’s aunt! For the little tea drinker, a good fruit tea can be suitable for their young taste buds. A simply wonderful tea for children is our Bingo Blueberry. While it is good hot, it is refreshing as an iced tea. 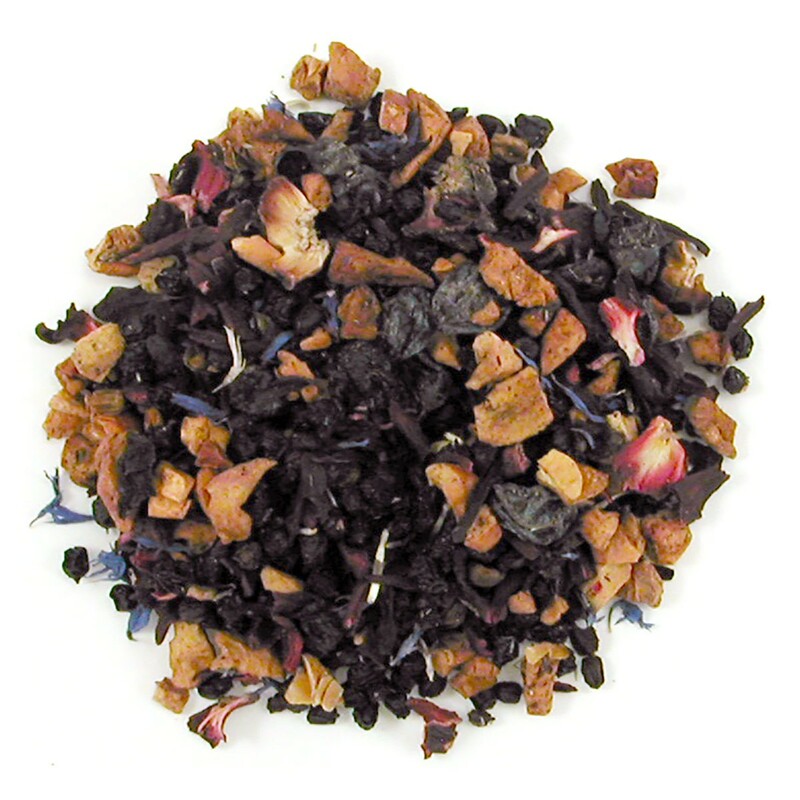 It is an herbal tea so it has no caffeine and has a strong blueberry flavor along with a dark purplish color. 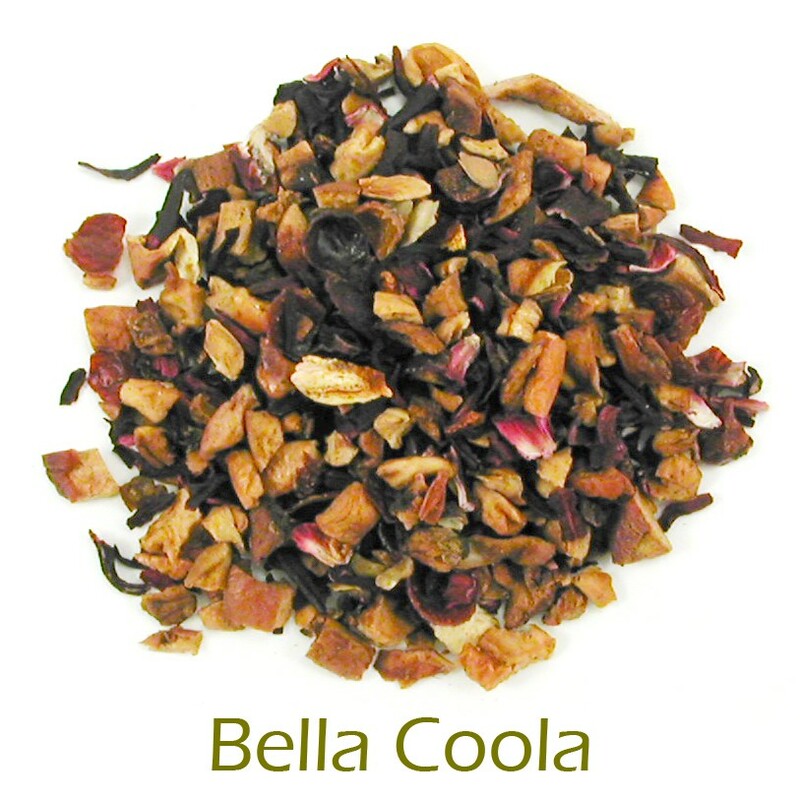 Another kid-approved tea is the Bella Coola, which has a citrusy pineapple flavor. The color for this one is a little bit orange-red. This one is good iced with a garnish of strawberry or pineapple. Since summer is almost here, another way to enjoy these teas is to make popsicles out of them (once they are sweetened to the child’s liking). Warning: When brewing tea, make sure an adult is handling the hot water and enjoy under proper supervision.